Flyball and Pile it on! Sorry I have been MIB! (that means Missing in Blog). I have been very busy! I was invited to be a guest at the officially sanctioned Mango Minister Flyabll Tournament! And I was given a front row seat! 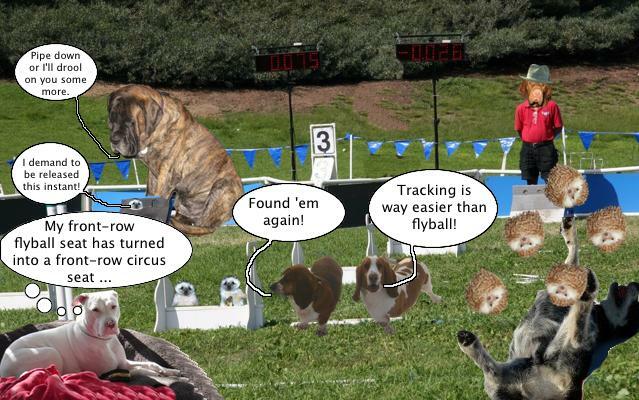 As you know this was a week-long event, and quickly disintegrated from a flyball tournament into a 3 ring circus! Notice the "3" for three ring circus! It was a fun event, and thank you for the invite Dennis! Fortunately I don’t live very far from Dennis’s house which is near a place called Sandy Eggo, so I didn’t need to use the Mango Minister Jet like all the participants did. Oh and then it was moms birthday! So we had to have a special doggy dinner. She won’t let me say how old she is…..
And then! I was reading doggy blogs and realized that my Pile it On entry may have been beaten! So I have practiced my pile it on skills to send in a new entry. No I am not telling how big my pile is this time!!!! oooo cant wait to see how many you got! Good luck Daisy!! We saw you on Pitter Patter again with your pile on picture, it was too cute! Good luck, Miss Daisy. You are a pro. I had to go for an artful pose because I could not match your top number. It was great to see you at the flyball tournament. That Dennis Dada is a great host. Happy Birthay to your Mom, Daisy. That’s a great pic of you at the end. Good luck withyour new pile it on pic. To say the tournament was a cirkhus would SOOOOO be an understatement! But it was fun – but then again, I really wasn’t there – The Beastie was! I hope woo got some khake! Nice persuasive pikh to end your post! A lot of solid entries out there, better start collecting goodies! You should definitely keep this a secret. Keep ’em guessing, that’s the way to do it! I really like that last picture of you. Daisy we noticed your picture on Khyra’s blog. We just had to stop in to say you look just like Marley, Sis dog.. If you scroll back a few posts you can see her. 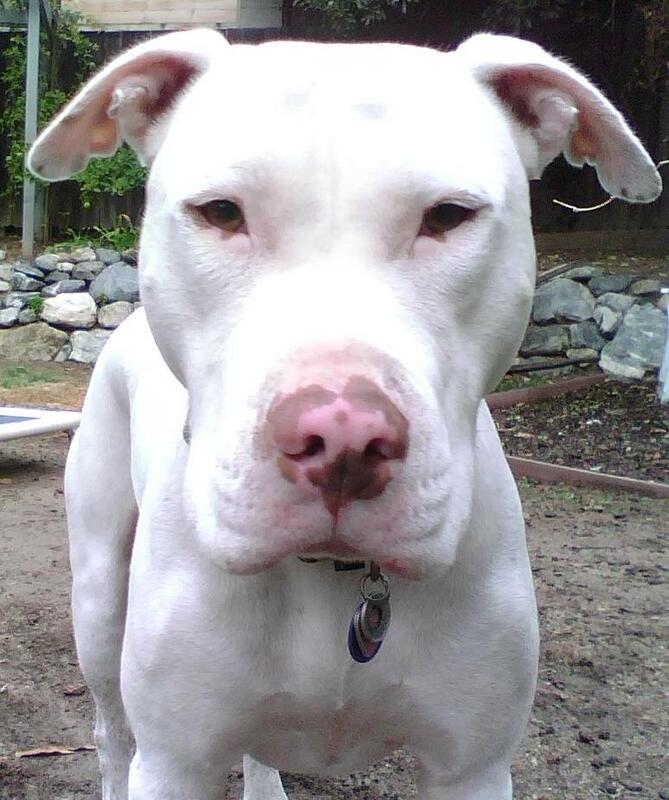 We are guessing you are a dogo too.. Happy birthday to your mom! She is a capricorn like my mom which means they work too hard! You have a lot of stuff piled on you in that picture–it will be amazing to see even more stuff. Yepper Daisy, Mom has hand signals for the 2 Red deaf ones.. We have sit, down, here and Louie even knows the signal for ball.. Mom and Dad take us all herding which is quite the challenge with deaf ones.. Callie has lots of natural abilities but Mom needs to figure out a signal for “slow down”. She keeps all the sheep together but moves them all really fast. Louie loves to dive right in the middle and watch them scatter.. The good thing is after a day of herding we sleep when we get home.. Mom loves sleeping heelers..